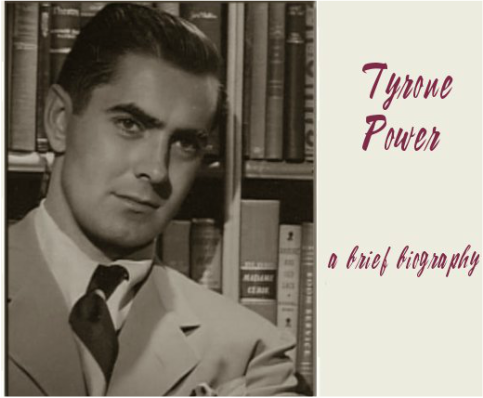 Tyrone Edmund Power, Jr., (May 5, 1914 - November 15, 1958) was an American film and stage actor. 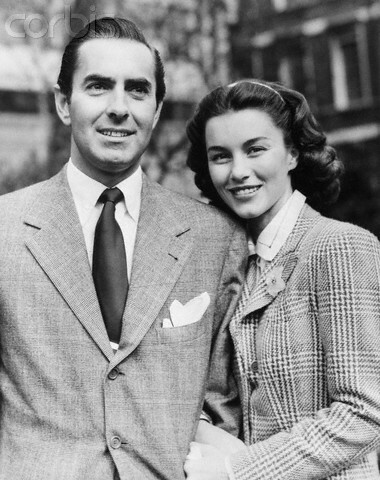 From 1930s to the 1950s Power appeared in dozens of films, often in swashbuckler roles or romantic leads. 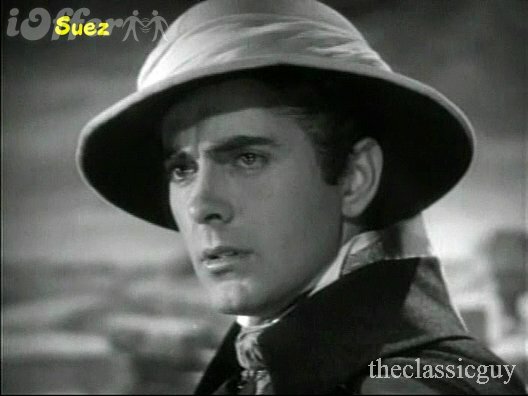 His better-known films include The Mark of Zorro, Blood and Sand, The Black Swan, Prince of Foxes, The Black Rose, and Captain from Castile. 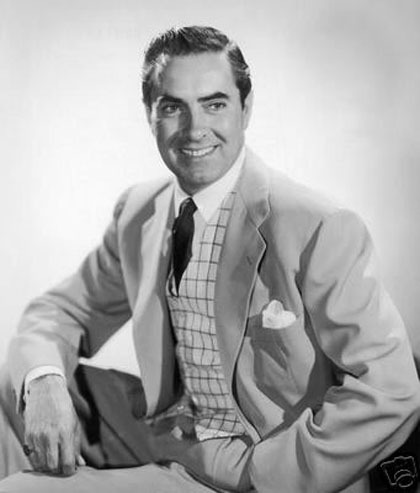 Though largely a matinee idol known for his striking looks, Power starred in films from a number of genres, from drama to light comedy. 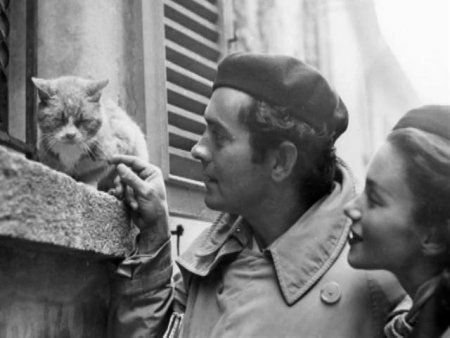 In the 1950s he began placing limits on the number of films he would make in order to have time for the stage. 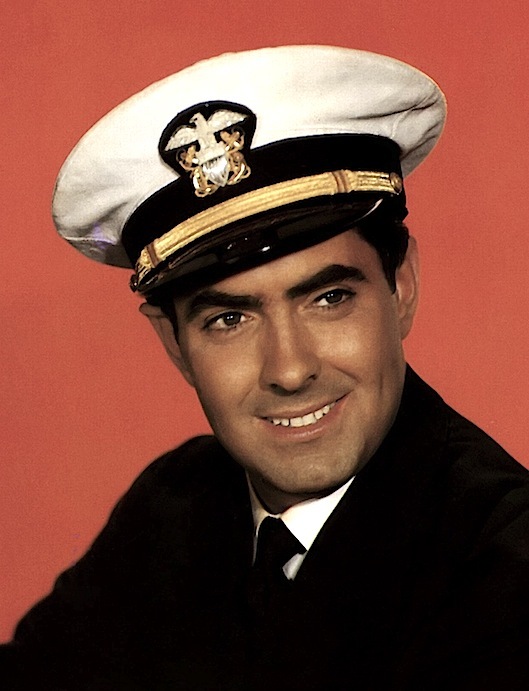 He received his biggest accolades as a stage actor in John Brown's Body and Mister Roberts. Power died from a heart attack at the age of 44. In August 1942, Power enlisted in the Marine Corps. He attended boot camp at Marine Corps Recruit Depot San Diego. Power then attended Officer's Candidate School at Marine Corps Base Quantico, where he was commissioned as a Second Lieutenant on June 2, 1943. 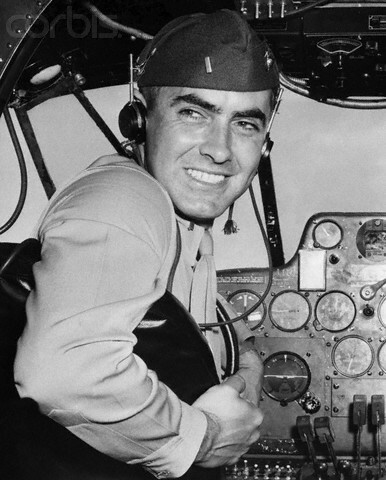 As he had already logged 180 solo hours as a pilot prior to enlisting in the Marine Corps, Power was able to do a short, intense flight training program at Naval Air Station Corpus Christi, Texas. The pass earned him his wings and a promotion to First Lieutenant. In July 1944 Power was assigned to Marine Aerial Refueler Transport Squadron 352 as an R5C transport co-pilot at Marine Corps Air Station Cherry Point, North Carolina. The squadron moved to Marine Corps Air Station El Toro in California in October 1944. Power was later reassigned to VMGR-353; joining them on Kwajalein Atoll in the Marshall Islands in February 1945. From there, he flew missions carrying cargo in and wounded Marines out during the Battles of Iwo Jima (Feb-Mar 1945) and Okinawa (Apr-Jun 1945). 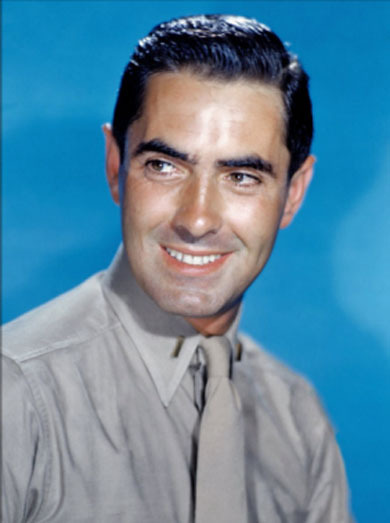 For his services in the Pacific War, Power was awarded the American Campaign Medal, the Asiatic-Pacific Campaign Medal with two bronze stars, and the World War II Victory Medal. He returned to the United States in November 1945 and was released from active duty in January 1946. He was promoted to the rank of Captain in the reserves on May 8, 1951. He was not recalled to active service during the Korean War. In the June 2001 Marine Air Transporter newsletter, Jerry Taylor, a retired Marine Corps flight instructor, recalled training Power as a Marine pilot, saying, "He was an excellent student, never forgot a procedure I showed him or anything I told him." Others who served with him have also commented on how well Power was respected by those with whom he served. 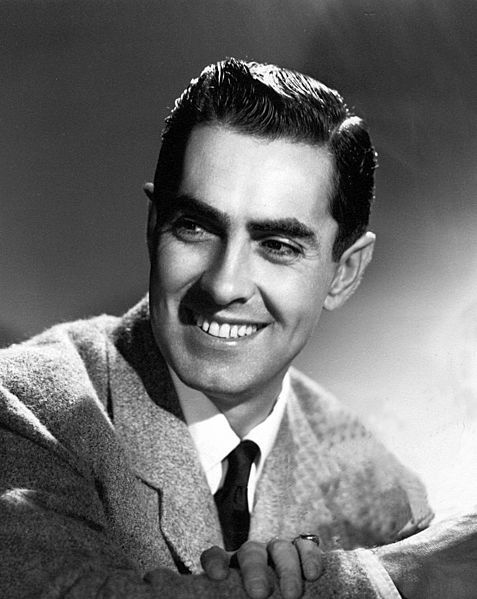 Tyrone Power was honored with having his handprints and footprints put in cement at Grauman's Chinese Theater on May 31, 1937. 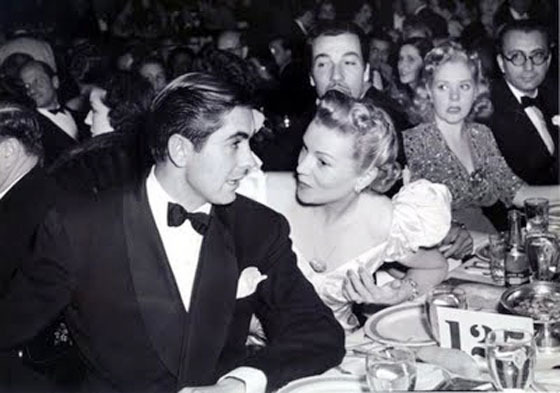 It was a joint ceremony with Loretta Young, on the occasion of the premiere of their movie Cafe Metropole. Tyrone was just 23 years old and had been a major star for only six months. 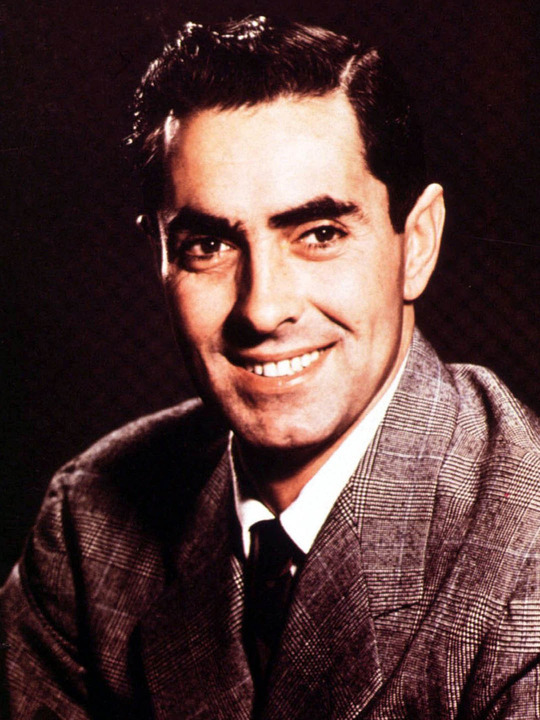 He signed the cement block, "To Sid - Following in my father's footsteps", which was a tribute to his father, stage and film star Tyrone Power, Sr.
Tyrone Power's star on the Hollywood Walk of Fame can be found at 6747 Hollywood Blvd. On the 50th anniversary of his death, Power was honored by American Cinematheque with a weekend of films and remembrances by co-stars and family, and a memorabilia display. The event was held at the Egyptian Theatre in Los Angeles from November 14–16, 2008.